As much fun as I'm having on the island, I would miss my DH! LOL ... great photo... 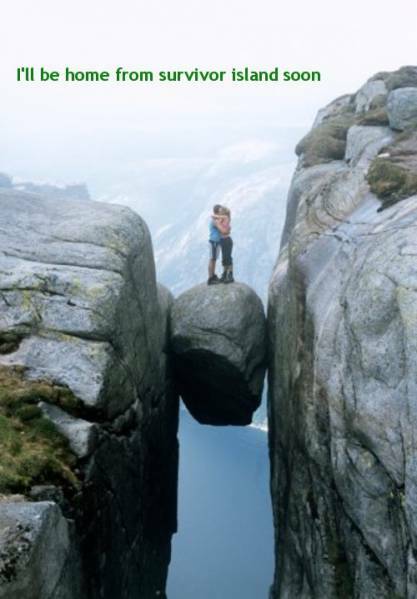 I don't know that I would be hanging around on that rock too long though! Very good, funny as well. I hope they have used a very strong adhesive to keep that rock in place!!! Oh it makes my head stin just looking at that photo. Not for me. Fantastic postcard. Oh that makes me feel ill....so hate heights! Great idea for a postcard though!